As we do each month we bring you the latest set Miles & More "Meilenschnaeppchen" discounted mileage awards! 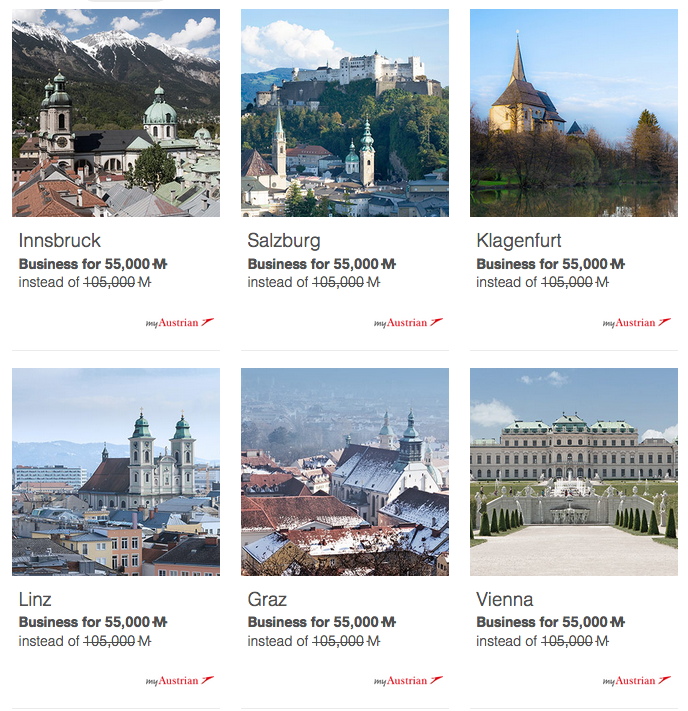 This month we continue to see offers for Austrian Airlines flights out of Toronto - gone however are the economy class options that were supposed to stick around until the end of March. Instead we now have these business class offers! 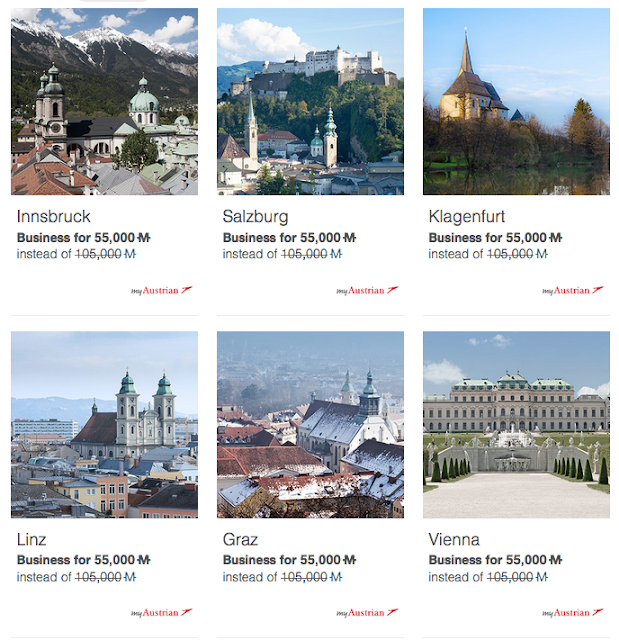 You can redeem Miles & More miles for round trip tickets on Austrian from Toronto to Austria for only 55,000 miles. 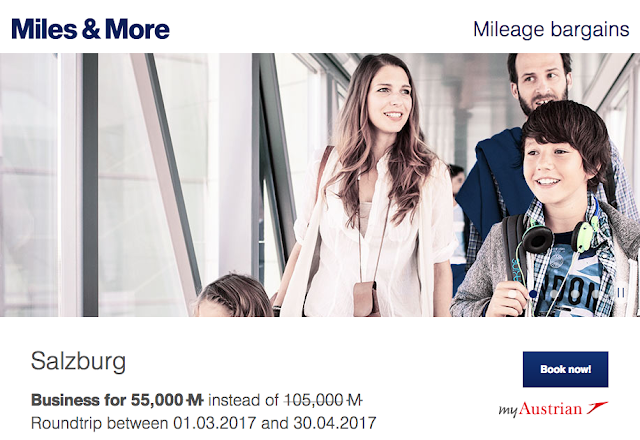 This is a ~47% discount off the normal Business Class award ticket price of 105,000 miles. Miles & More is a transfer partner of Starwood Preferred Guest which means you can easily transfer over Starpoints to get in on this offer. One transfer of 25,000 Starpoints and another of 20,000 will net you enough miles since Starwood kicks in an additional 5,000 miles for every 20,000 Starpoints transferred. You can easily get 20,000 Starpoints by applying for and receiving the Starwood Preferred Guest Credit Card from American Express. Refer a friend or family member to get the SPG Amex as well and you get another 10,000 Starpoints. Then you get yourself the Chase Marriott Rewards Premier Visa card with the 30,000 or 50,000 point sign up bonus. You can then convert those to SPG at a rate of 3:1 so you have now added 10,000 to 16,000+ more Starpoints to your account. Now you potentially have enough Starpoints to redeem for this offer!